The Church Health Center has a new president, Antony Sheehan. He moved his family all the way from Leicestershire, England, to join us in the broad array of work we do. Antony and I met in the context of the Institute of Healthcare Improvement in Boston, an organization that has been helping us with our “Healthy Shelby” effort in our local county. Antony, who was in a fellowship at IHI because of his impressive career in healthcare systems in England, got so curious about our work that he came to visit the Church Health Center. Antony expected to return to England, but I really hoped he wouldn’t. He had every reason to go back to England—a thriving career where he has made a huge difference working at senior levels in the national health system. Grown children. A grandchild. It’s tough to compete with a grandchild. But I wanted Antony to come and help lead the Church Health Center. After his visit, I told him to go away for a week, and if he found himself thinking about nothing but the Church Health Center then he should call me. He called. We got excited. We made plans. He went back to England to prepare for a permanent move to the United States. Then last Christmas U.S. Immigration denied his visa application to come to work at the Center. He and I were both devastated. After a very sad phone call with me, he went for a walk along the canals that run through his home city of Leicester. As he approached a canal boat, he saw it bore a logo he recognized. It was the logo of Sun Studio, the Memphis recording label that launched Elvis Presley. As he got closer he saw a decal that said “TCB,” short for Elvis’s slogan, “Taking Care of Business.” As he got closer still, Antony realized the name of the boat itself was Graceland. Eventually the visa questions were sorted out, and Antony is here with his wife and two youngest children. He began as president on October 1. I am not leaving the Church Health Center. I am the chief executive officer and Antony is the president. Someone said (and I am flattered), “It will be like Bear Bryant and Nick Saban coaching the same team.” I hope that is right. Was it coincidence that the Graceland canal boat was in that spot at that moment? I have come to regard it as providence, reassurance for Antony—and all of us at the Church Health Center—that his future lay with us. Antony and I will both tell you we sobbed that day last December, both when we got the news of his visa denial and again when he told me the story of the canal boat. While I am sure we are bound to have philosophical differences (you want me to believe that Bear Bryant and Nick Saban would agree on everything? ), the bond we share because of the time of tribulation we experienced together will weather a long list of petty disagreements. I’m glad to be starting the new year with Antony in the Church Health Center boat. Ah yes, it’s that time of year again when we are all expected to be filled with joy. It’s Christmas time. For many of us, just thinking of the season makes our blood pressure rise. And why is it that we seldom make it through the season without some sort of calamity? A couple of years ago, two days after my wife and I put up our tree, we heard a crashing noise from the front of the house. All of the needles had fallen off our tree sending our ornaments smashing to the floor. The cooperation it had taken to select the tree, tote it home, string the lights and decorate it had already pushed us to our friendly limits. Now, we had to do it all over again—with smiles on our faces. But that’s not half as bad as our friend whose tree stand leaked and ruined her floor. In the grand scheme of things, what happened to us wasn’t a big deal, but it certainly clashed with our vision of a warm and cheerful holiday season. 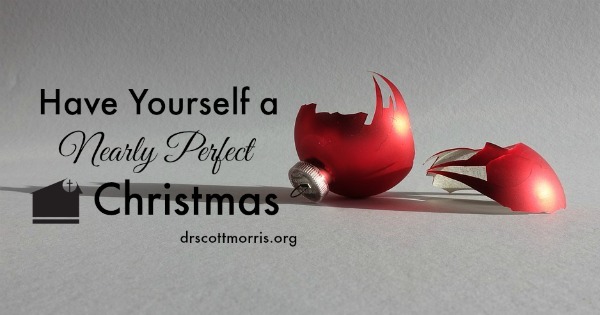 Christmastime comes with so many expectations, most of them stemming from our childhood. Many people find themselves striving for perfection that simply is not attainable. The Christmas tree must be just right. The dinner menu must include all the traditional courses, even if it means the cook is stuck in the kitchen for days on end. And the children’s presents must be exactly what they asked Santa to bring them. No one should feel especially sad about a family member or friend who has died or is ill. And of course, no one will argue, or drink too much “nog,” or spend too much money, or make a big mess, or act like a fool. All the children and dogs will get along like the little angels they are. It’s a perfectly jolly time of year. Yet when I look back over my lifetime of Christmases, it’s the things that went astray that I smile about the most. It’s the unplanned performances during the Christmas pageant that makes me laugh. The one little kid who sings louder and prouder and more off-key than the others. One year Sullivan, our Bernese mountain dog, cleared the room during a party, after he had apparently eaten an entire wheel of Brie. We still laugh about that. It’s watching people open gifts they weren’t intended to get. Oops. It’s sharing old stories, and catching up on news with family and friends. That’s what really makes Christmas. This year let’s allow ourselves a little more elbow room. Let’s quit trying to make everything just right to the point of exhaustion. It doesn’t matter if the decorations, food and presents are perfect. To be honest, I can’t remember what I’ve eaten from one year to the next. All I know is that Christmas, like life, is never perfect. And it’s never healthy to expect it to be. Every year I look forward to the children from Perea, the preschool run by the Church Health Center, stopping by to sing Christmas carols. Hearing them sing reminds me why life is good. I was an only child, and both sets of grandparents lived in the same city where I grew up with my parents. You would think the holidays would be a piece of cake. The problem was the two sets of grandparents didn’t want to lay eyes on each other. My parents and I exhausted ourselves trying to make everyone happy. Instead of being times of warm family interaction, Thanksgiving and Christmas were times to grit our teeth and just get through it. I know others go through the same thing, and I feel for you. Right now, you’re breathing a sigh of relief because you made it through Thanksgiving. But Christmas music, lights and decorations remind you that you have to do it all again in a few weeks, which doesn’t exactly put you in the holiday spirit. Perhaps you simply avoid your family altogether during the holidays. Or maybe you live too far away from them to be together, and this leaves you on the fringes of the season. Let me offer a few simple reminders that will help us all find joy in the next few weeks. • Chosen family is still family. Since my wife, Mary, and I don’t have kids, and both of our families live out of town, we are fortunate to spend our holidays with “chosen family”—people we can count on when we need them and people we actually enjoy being with. A chosen family can fill the need for family, especially when biological families are too far away or too dysfunctional to share the holidays. • Build memories, not gift piles. After my mother died, my father remarried, and I acquired a stepbrother. He likes to joke that, “It’s not the thought that counts, but how much it costs.” But we all get the point. We need to straighten up and quit shopping so much. Several years ago, when my stepbrother’s children were young, Mary gave them all sorts of lights and tacky tinsel to decorate their rooms. They don’t remember the gifts they received that year, but they do remember the Christmas when Aunt Mary let them go to town decorating their playroom. She also encouraged them to create a play, which they performed for us. The play was awful, but that’s not the point. They had fun, and we all remember the occasion with smiles. • Share what’s good in your life. For some people, Christmas is a profoundly religious holiday. For others, it’s a bright spot in a dreary winter. Some celebrate other holidays at the same time of year. Whatever you observe this season, share what’s good in your life with the people who mean the most to you. Even if your family is a total mess, you can take stock of the people who do make your life better. Touch base with them over the next few weeks to let them know why they matter to you. A Hallmark card may not resemble your life in the least, and the perfect snowy Christmas Eve with bells ringing and angels singing only happens in the movies. But there is always room to create a holiday worth remembering. All it takes is a little imagination. Would Jesus Qualify for Affordable Care Act? The good news is, I can say with certainty, Jesus would not have to be born in a manger in Tennessee. Mary and Jesus would qualify for either TennCare or CoverKids. They would receive quality prenatal and obstetrical care, and Jesus would be eligible for pediatric care until he was 18 years old. As for Joseph, I’m not so sure. As a self-employed carpenter, he would be subject to the individual mandate of the Affordable Care Act to obtain government-approved health insurance or pay a fine. If Joseph lives in one of the many states that chose to expand Medicaid, and if his income is below $26,658 (138 percent of the poverty guidelines for a family of three), Joseph could be eligible. Otherwise he would have to purchase insurance through the federal exchange (think American insurance company). But could he afford it? Not likely, even with a federal subsidy. He certainly could not afford to insure his family. It’s tough to make a living as an independent carpenter. Joseph might choose to go uninsured because he’s more worried about paying for a place to live and food to eat than having insurance. If Joseph’s business booms and he does buy insurance, Jesus could stay on his policy until he turns 26. It has, however, always been a mystery what happened to Joseph, since we don’t hear anything about him after Jesus was 12. Could he have been a migrant worker? Did he get sick and die without health care? Jesus would likely be on his own to find insurance after he turned 18. As a single man, he would have to make less than $15,598 to qualify for expanded Medicaid, if it is available. That is less than minimum wage. Even if he started out as a carpenter himself, around age 30 Jesus became an itinerant preacher and healer. His income probably plummeted, but can you really see Jesus standing in line to sign up for Medicaid, or picking from the list of exchange options? What about leaders of other faiths? Since Moses was adopted by Pharaoh’s daughter, he would have been covered until he was an adult, but once he was wandering in the wilderness, I suspect he would be without coverage. Buddha was wealthy as a child but, like Jesus, was a poor itinerant preacher. So, no coverage. And Mohammed never stayed put in one place long enough to be enrolled. Here’s my point: Jesus said, “The poor will always be with you.” So far he has been right. Many people will benefit from the Affordable Care Act, but we’re fooling ourselves if we don’t recognize that millions of people will remain uninsured. The poor will lack access to many needed services no matter what. For instance, in 2,500 pages of law, the words “adult dentistry” do not appear. Yet it is impossible to go from a $7-an-hour job to a $10-an-hour job if your teeth are a disaster. You just don’t get hired. The exchange system may offer various levels of service—silver, gold and platinum—but obviously the prices will vary. Most poor people will choose the least expensive option. Technically they will have insurance and satisfy the law, but their policies will leave a lot of services uncovered—services they need but still cannot afford. Frequent job changes, which are a reality among low-income workers always looking for another twenty-five cents an hour or an easier bus ride, will lead to people bouncing in and out of healthcare plans without consistent care. These issues, along with many practical and economic reasons, are why the governors of many states chose not to create their own exchanges. Governors have good reasons for their decisions based on sound business principles for the state. They make the kinds of decisions they elected to make. Nevertheless, we have work to do. Memphis, where I live, continues to be one of the poorest cities in America. In any city, if we want our citizens to be healthier, we must roll up our sleeves and work together to make it happen. The Church Health Center plans to dramatically expand our services in the coming years. 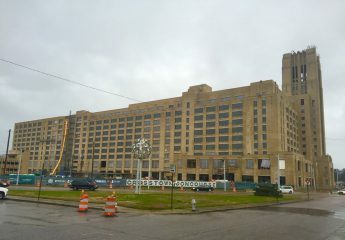 We will consolidate under one roof as part of the redevelopment of Sears Crosstown, an iconic Memphis building and neighborhood, and continue to work tirelessly for the health of all citizens of Memphis. The Affordable Care Act does not close all the gaps in health care for low-wage workers, and the Church Health Center will still stand in those gaps. Every day we open our doors, we help people who need us the most. Since we will not know when God will send a prophet into our midst, I want to make sure being poor and uninsured will not prevent that prophet from growing up strong and healthy. Every community in America needs to be strategic and efficient with its resources if all of our citizens are to receive quality healthcare.